Introducing The NEW ABA Program Companion: What’s Next for YOUR ABA Program? 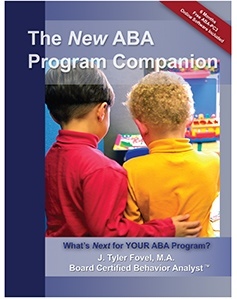 We’re thrilled to introduce The NEW ABA Program Companion: What’s Next for YOUR ABA Program? by J. Tyler Fovel, M.A., BCBA. This is an expansive brand new edition of the bestselling ABA Program Companion, completely updated with a new online software package, the ABA-PC3. Designed for practitioners who need to solve educational problems through analysis and creation of technically powerful solutions, this brand new book is sure to be at the top of your go-to references. The New ABA Program Companion offers important information and ideas on how to design, document, implement, evaluate and offer the best skill acquisition programs you can create for your students. Managing a complex, multidimensional ABA Program involves vision, teamwork and infinite coordination. This book will help you choose and attain your next steps, wherever you may be in the process. With school back in full swing and new cases starting up, now is the perfect time to utilize this powerful resource to create and organize your ABA programs. For a limited time, we’re offering The NEW ABA Program Companion at the introductory low price of $35. This offer will only be valid until September 17, 2013 so be sure to order your copy today! The ABA-PC3 software offers an online curriculum development environment for ABA teams. 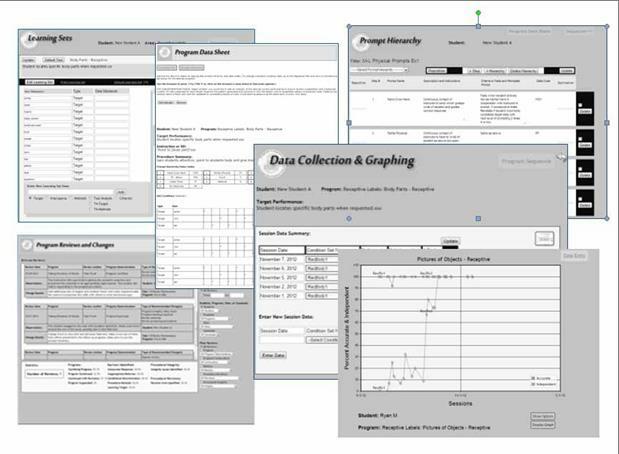 This is the newest version of a curriculum development tool specifically designed for ABA programs that helps with nearly every phase of the program creation process from selecting individual target performances to writing detailed step-by-step procedures to generating data sheets, entering data, and producing graphs. There’s also a program review module that structures the process of revising procedures based on observation and student performance measures. The unique software has a built-in library of 650 programs and over 4000 individual learning targets, all fully customizable by the user for their particular circumstances. Users can quickly search the library using keywords and select appropriate programs or write their own, rapidly building a comprehensive set of student programs. The set can be implemented or used to quickly create multistep sequences of programs for a variety of settings and instructional purposes. **NOTE: Limited introductory price of $35.00 valid through 9/17/13 at 11:59 pm EST. All purchases made after that date will be at the regular retail price of $42.95. Written by: Different Roads to Learning on September 4, 2013. This entry was posted in ABA, autistic spectrum disorder, Difflearn Promo Code, Pick of the Week and tagged ABA, Applied Behavior Analysis, autism education, autistic spectrum disorder, behavior management, Resources, special education professional, teaching tools by Different Roads to Learning. Bookmark the permalink.